I took an eight-week Bollywood dance class in Sydney recently and had a blast learning the choreography and getting my groove on once a week. At the end of the course, a group of us were part of two performances to show off our new moves. One show was for Harmony Day at Chatswood Mall for an audience including the local mayor, and the second was a more casual affair at Mowbray Public School for the election day fete. 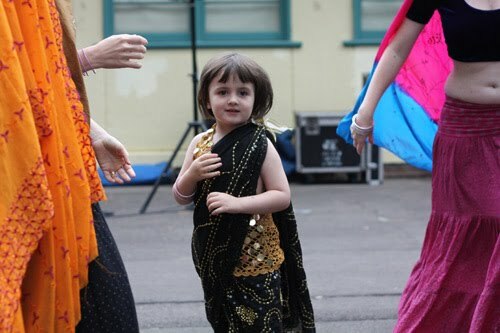 It was fun to dress up, and my big girl was so excited to dress up too and give the dancing a whirl at the fete. If you're looking for something a bit different, Bollywood dance is well worth a try and the teachers at J's Bollywood Dancing (Jarita and June) were great. Jai ho!